The Mimbres people were a sub-group of the “Mogollon,” a name archaeologists give to early Puebloans who lived in the mountains, deserts, and valleys of southwestern New Mexico, Arizona, and northern Mexico. Initially, they were hunters and gatherers, but transitioned to a more settled lifestyle, becoming farmers and building villages. 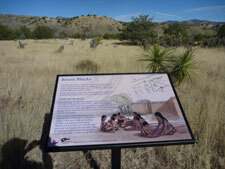 The Mattocks Ruin is a large pit-house and pueblo village. (A pit-house is a building that is partly dug into the ground and covered by a roof.) About 1000 years ago, a Mimbres pueblo was built at this site on top of an earlier pit-house village. It was home to as many as 200 people. ​During the pueblo period, the Mimbres people produced beautiful black-on-white pottery that art historians and archaeologists consider the most distinctive prehistoric pottery in North America. Items recovered from the Mattocks archaeological site are recognized worldwide as some of the finest examples of Classic Mimbres artwork. Beginning with a site visit in 1883 by Adolph Bandelier (one of the 19th century’s most important and influential archaeologists) through the ownership and research of the Mimbres Foundation in the 1970s, the ruin has long attracted the interest of archaeologists. In 1929-30, the first scientific excavation was led by Paul Nesbitt of the Logan Museum of Beloit College in Wisconsin. The sub-surface rights of the site are now managed by Archaeology Southwest of Tucson. As you visit the MCHS, use your stay as a chance to walk through the past. Imagine what life was like for the people who built pueblo rooms of stone and homestead houses of adobe. 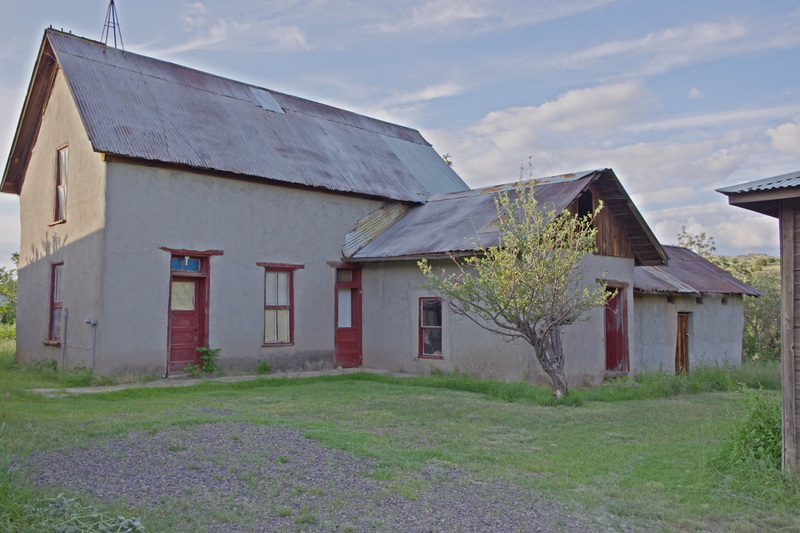 The Wood House is the older of the two adobe houses on the property and dates to the 1880s. Built during the Apache Wars, it is one of the few surviving structures of that era in the Mimbres Valley. Dr. Granville N. Wood, a physician, planted an orchard of apple, peach, cherry, pear, apricot and plum trees. The property also included 40 acres of alfalfa, a large vegetable garden and pasture for livestock. Dr. Wood sold his homestead to Robert Floyd in 1887. In 1987 it was listed on the National Register of Historic Places. The Gooch House dates to the 1890s, was built by Benjamin Gooch and was later the residence of Bert Mattocks. Robert Floyd died in 1889, leaving the property to his wife Kate. Mrs. Floyd married Ben Gooch at the end of 1889. Gooch quickly became a successful businessman, profiting from the produce of fruit trees, alfalfa fields, garden, and livestock. Gooch moved his family to Silver City in 1901, where he opened a produce and meat market. 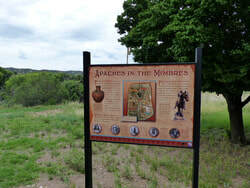 He leased part of his Mimbres property to J.D. Ross. During a confrontation in 1902 Mr. Gooch shot and killed Mr. Ross. Gooch was captured, tried and later declared insane. After several escapes and re-captures, Gooch finally disappeared for good in 1917. The property was sold in 1922 to the Mattocks family. They welcomed some of the early visiting archaeologists, permitting them to excavate. In time, the site became known as the Mattocks Ruin. The Imogen F. Wilson Education Foundation acquired the MCHS property from the Silver City Museum in 2011. It now owns and manages the Mattocks Archaeological Site and the two adjoining historical Mimbres Valley ranch houses from the 1880s. 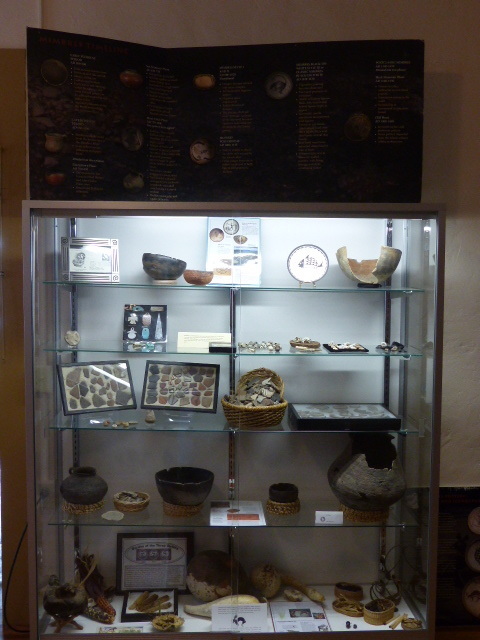 The site also includes the Mimbres Museum, located in the Gooch House. Exhibit space is dedicated to the Mimbres Culture and to the later settlement and multicultural development of the Mimbres Valley. The museum features a gift shop, wheelchair access, restroom facilities and a community room for small group meetings and presentations. Visitors also have the rare opportunity to walk through one of the only adobe Territorial houses of its era left standing and the original log and adobe doctor's office.